This past weekend, a group of Wright State University Public History Students and one of our professors made the long drive from Dayton, Ohio, to Saint Paul, Minnesota for the Midwest Archives Conference. The conference was great, but I want to talk about the places I saw, not the sessions I attended. The view from our hotel room was awesome. To the left we could see the Mississippi River, and to the right we could see further into the city. It was awesome to be right on the river, and this view was my first impression of the city… what an impression! 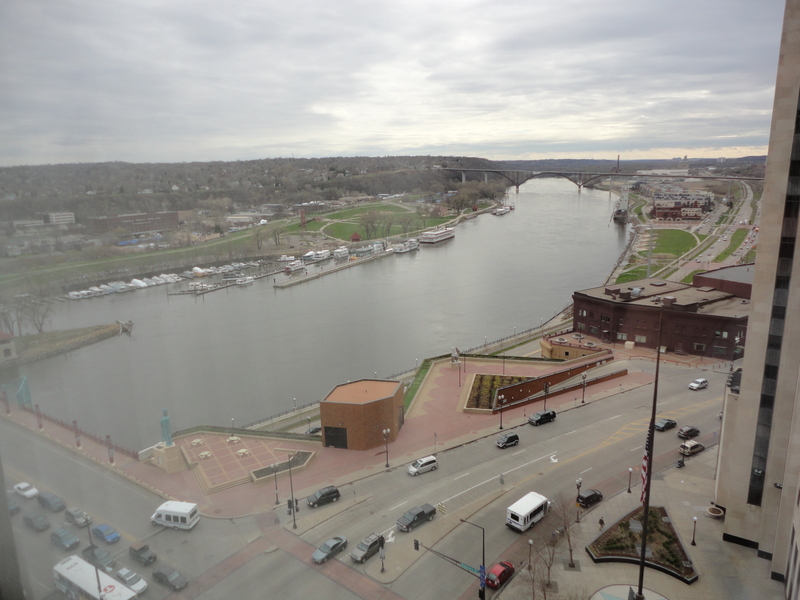 We didn’t have much time in Saint Paul, and what little time we did have was largely filled with conference activities, but we still got to do a little sight-seeing. Thursday night, some of us headed to a local bar. We took the long way to get there, and discovered that Saint Paul looks a lot like most cities do at night. 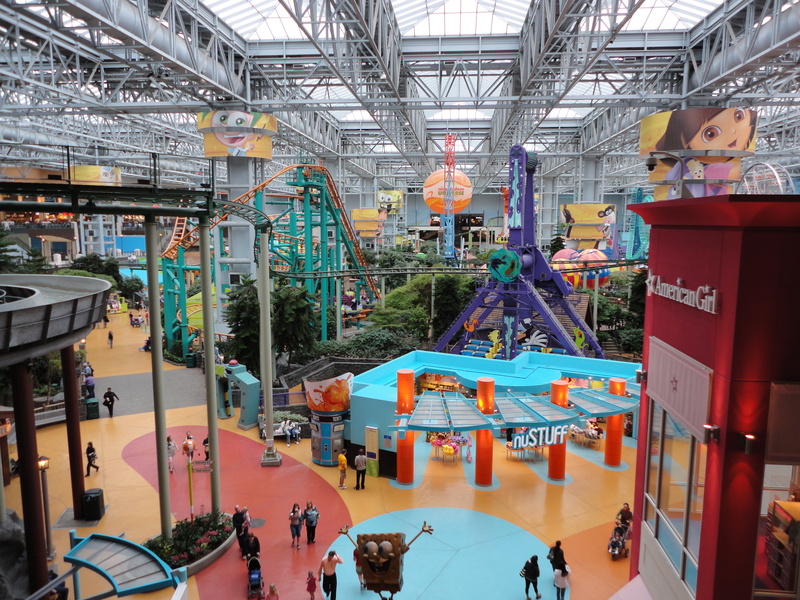 On Friday, some of us decided to go to the Mall of America while we had some free time between planned conference activities in the afternoon. We walked into the mall and were in awe. It is HUGE! We all acted like tourists and were taking pictures left and right. “Look over here! Over there!” In the center of the mall is a decent sized theme park! There are several roller coasters and other rides too! I rode one of the roller coasters… it wasn’t half bad! I mean, it’s no Maverick or Top Thrill Dragster, but it was pretty good! There was also a miniature golf course in the mall. The mall had every store you could possibly think of. It had your typical stores that you see in just about every mall, but even these were not your average store. Like the mall itself, these stores were also huge! As an added bonus to all of this… there is apparently no sales tax on clothing or shoes! Clearly, a few hours here were not enough… but probably good for my wallet! 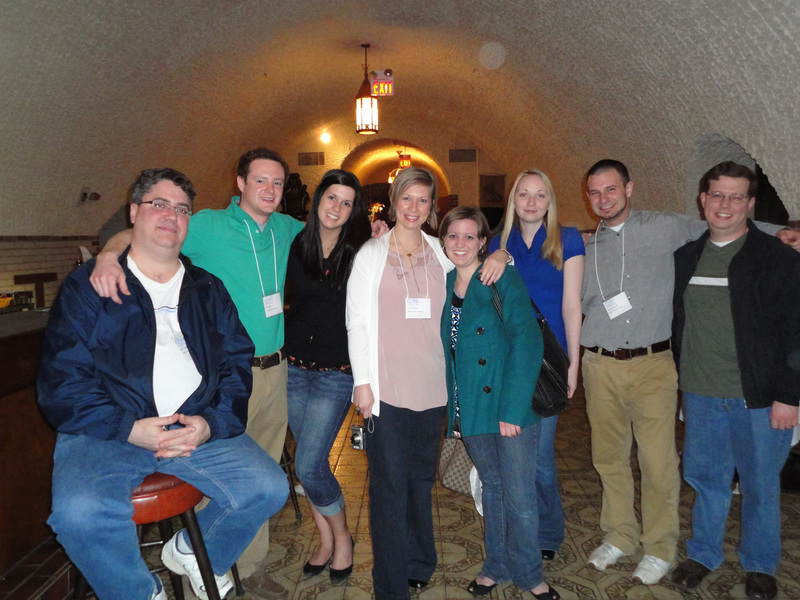 That night we all went to the Wabasha Street Caves. This was another awesome mini-adventure. The caves are not natural. They were old mining site, but the history of these caves is more interesting than just that. The caves served as a gangster hangout and even a speakeasy during prohibition! There was even a couple of men shot and killed there during its days as a popular hangout for gangsters. I think possibly the best part about this night was that there was a bar set up… we went drinking in an old speakeasy! Ok, so the part of the cave that was the old speakeasy was closed… but it’s still awesome! We all had so much fun! It’s a shame that we were all starting to get pretty tired by this point. Still, I think our adrenaline kept us going. We were going to experience as much as we could in the little time that we had in Saint Paul. Also about the city: statues of Peanuts characters are everywhere! Along the sidewalks outside, in the hotel, in parks… and they are all decorated differently. It reminded me of how Cleveland has the guitar statues all over the city. I was also able to tour the City Hall building. It’s a really neat building with a lot of unique touches. Unfortunately, we had to leave Saturday afternoon when the conference was over. Our short time in the city had come to an end. I wish we could have spent more time there, but we had a long drive ahead of us still, and now that I am home again, I have to admit that it’s nice to be home. Still, this wishful traveler can say she has been to one more new place… success! This entry was posted in Theme Park, United States, US City and tagged Theme Park, US City, US Travel. Bookmark the permalink. I’m so glad I found you through the A to Z challenge. I look forward to visiting again.